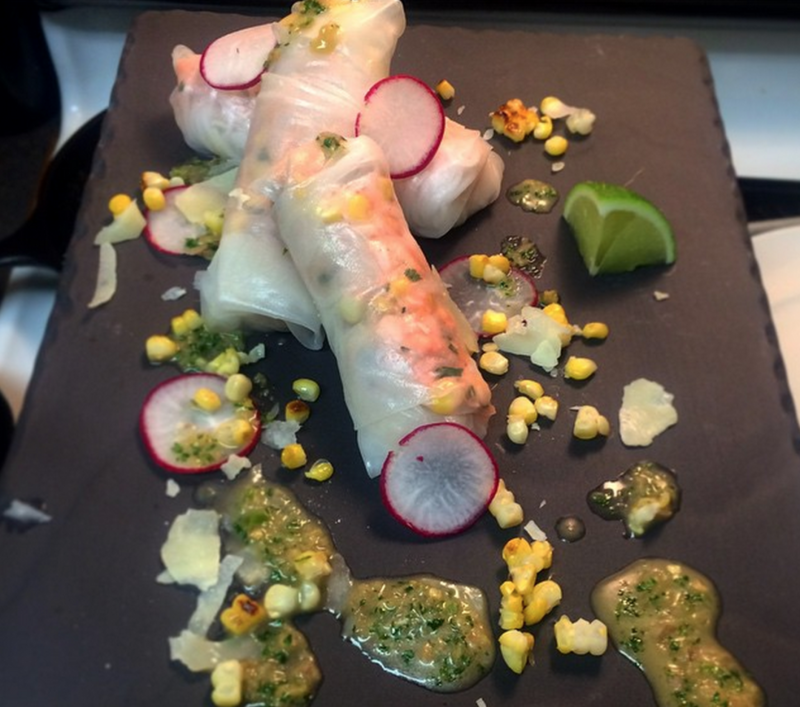 Chef Arash Kharat's blue crab and elotes spring rolls from a past Glitter Karaoke pop-up dinner. From food to fashion, pop-ups are all the craze these days. 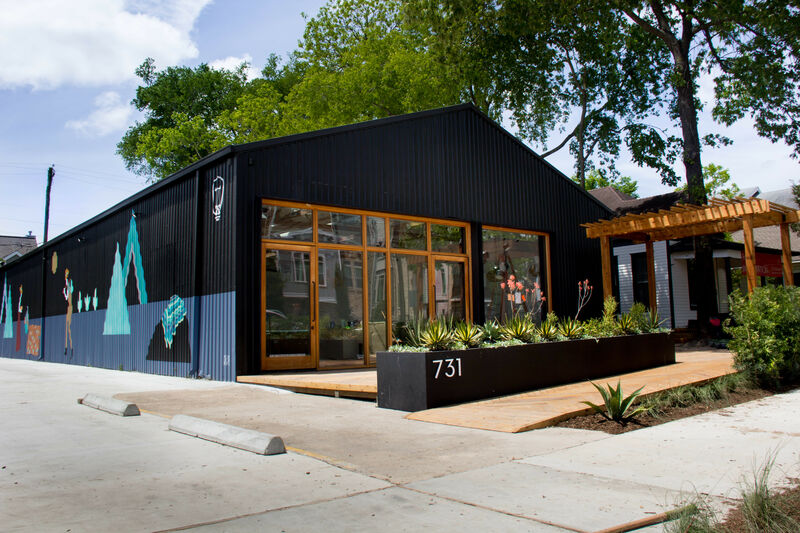 They allow up-and-coming artists, designers and chefs to showcase their vision to the public in unique spaces, from karaoke bars to bakeries. 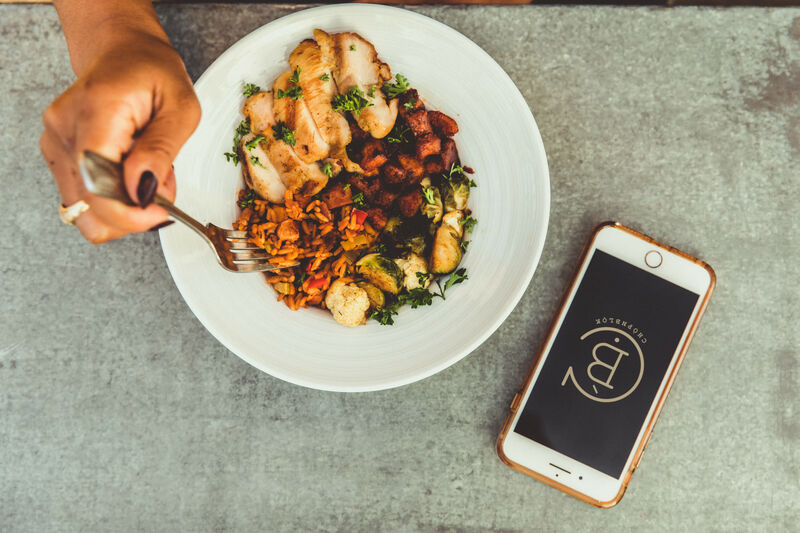 You can be the foodie of all foodies and a regular at all the restaurants, but these days, the main way to get a sampling of the next big thing is to be in-the-know. And to stay in-the-know, your social media game must be on point, my friends. Chef Arash Kharat, aka @Spacecitycowboy, is a social media sensation in Houston with a cult following on Instagram. The talented chef has gained insta-fame by sharing his passion for cooking with his followers through mouth-watering pictures and videos on Instagram, Twitter, Facebook and, more recently, Snapchat. Working in a private, professional building as a chef for Aramco Services, Kharat's food isn't exactly available to the public on a daily basis. 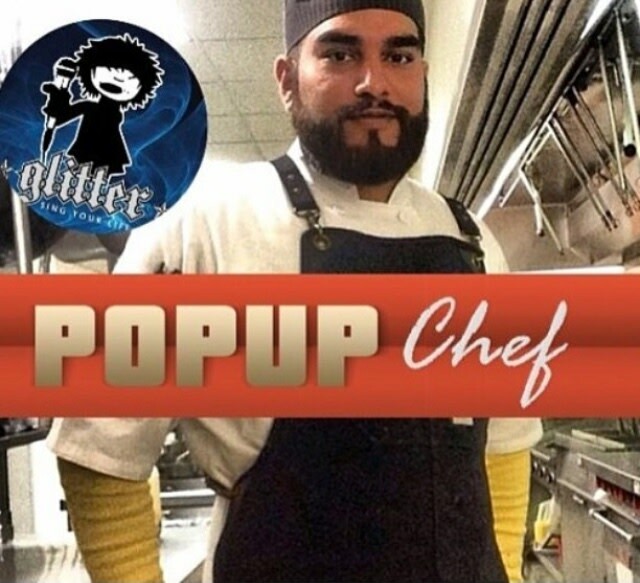 By hosting regular pop-up dinners at Glitter Karaoke, Kharat is able to invite the public to try his food as well as view the end result of an entire cooking process he showcases on social media ahead of each meal. From the purchases of local ingredients to the prep work that goes into each dish, often days in advance, his followers are invited to get a behind the scenes look at everything (and with no shortage of comic relief, I might add). Glitter Karaoke offers Kharat the platform (and, most importantly, kitchen) that he needs to bring those behind-the-scenes shots to life. Located in the heart of the city, Glitter offers a laid back and casual alternative to the Midtown scene on Thursday nights. Table reservations for Kharat's dinners are highly encouraged, as past pop-ups have been known to sell out in under an hour, with crowds lining up outside the bar. To coincide with the pop-up dinners, Glitter promotes drink specials on liquor and beer—$4 Deep Eddy Ruby Red vodka anyone? —which inevitably leads to karaoke entertainment at the tail end of the night. Open until 2 am, the bar tends to get pretty musical after dinner. Whether it's Britney Spears, Oasis, or Notorious B.I.G. the spotlight quickly moves from the food to the stage. 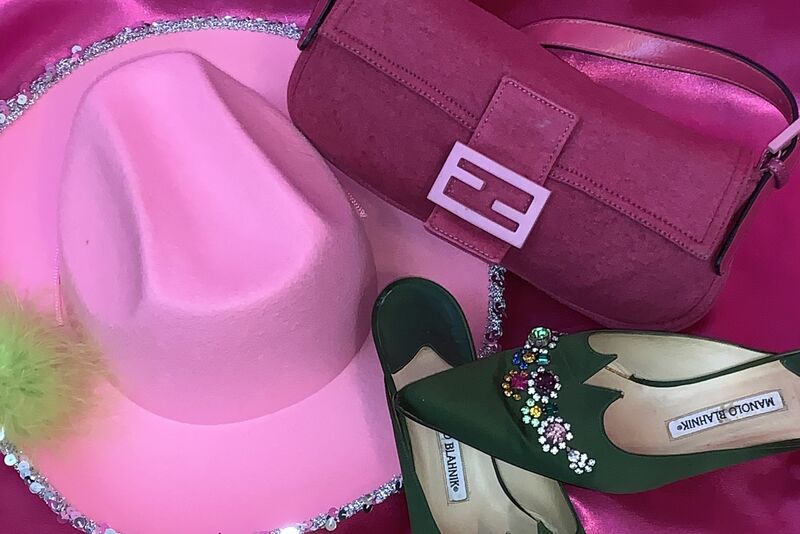 This week marks the one year anniversary that Kharat teamed up with Glitter Karaoke, and they have plans to celebrate the occasion with a bang. Kharat's Instagram feed has been filled with teasers of what his upcoming dinner on Thursday, July 2 will feature, one of the juiciest being a sky-high rack of ribs from local beef purveyor 44 Farms. 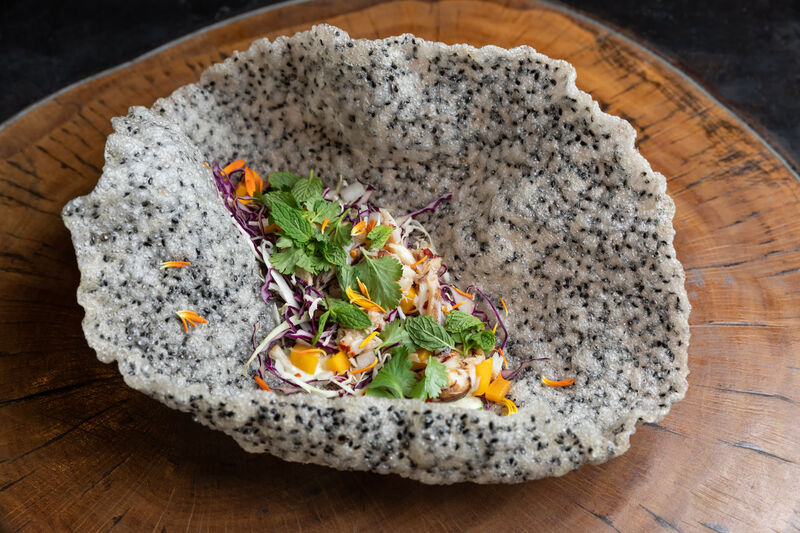 A perfect prelude to the Fourth of July weekend, this one-of-a kind pop-up dinner experience with Chef Arash Kharat will guarantee you a Houston foodie experience like no other. For reservations to Chef Arash Kharat's one year anniversary pop-up dinner or for a future Thursday night dinner, contact Glitter Karaoke at 713-526-4900. 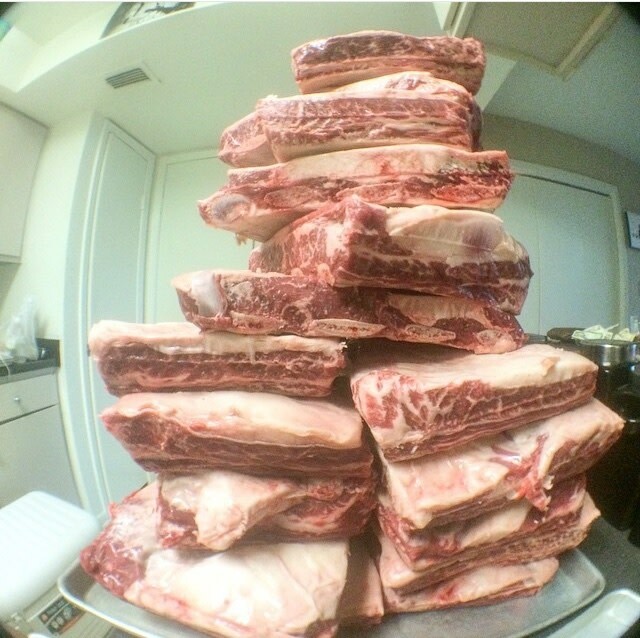 Chef Arash Kharat teases his Instagram followers in the week leading up to his pop-up dinner with pictures of racks on racks on racks of beef ribs from 44 Farms.